To travel with Seabourn is to discover two extraordinary worlds. In one, all-inclusive world-class fine dining, fine wines, and fine relaxation. And the other, an exploration of popular ports, hidden coves, and once-in-a-lifetime landscapes. 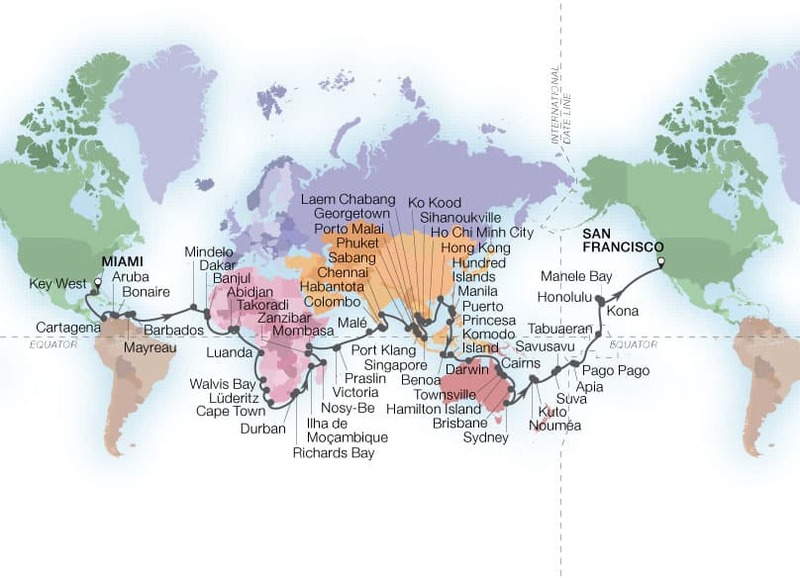 Circumnavigating the globe from North America, you will enjoy more than one port for every sea day. Exclusive events, along with overnight stays and late departures from dozens of ports allow you to immerse yourself in a world of fascinating people and unforgettable places, all in incomparable elegance and ease, on board the stunning Seabourn Sojourn. Extraordinary Destinations: Dozens of marquee cities including Dakar, Abidjan, Cape Town, Durban and Mombasa; Madras, Singapore, Ho Chi Minh, Hong Kong and Sydney. A wealth of hidden gems includes Mindelo, Luderitz and Ilha de Moçambique, Nosy Be and Praslin, Hamilton Island, Ile des Pins and Manele Bay on lovely Lanai. Sample Optional Excursions and Extensions: Midvoyage excursions along the way in Namibia, India and South Africa. Safari options from Cape Town, Durban and Mombasa, numerous UNESCO Partner Tours including the World Heritage Site of Ilha de Moçambique, luminescent caves in Puerto Princesa, snorkeling in the Great Barrier Reef and more. Shopping with the Chef excursions: Learn about regional markets with an expert Seabourn chef as your guide, in select ports such as Barbados, Mayreau, Manila, Phuket, Ho Chi Minh City, Cairns, Sydney and more. 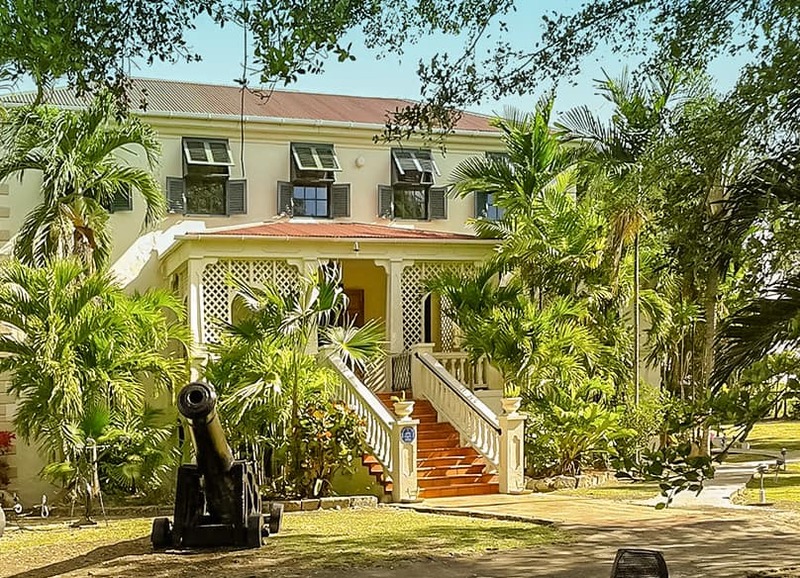 Guests will enjoy an evening of delicious rum cocktails, mouthwatering appetizers and an all-Barbadian cast performing the 'de Bajan Extravaganza.' Their electrifying and mesmerizing floor show features beautifully costumed dancers and moko jumbies – dancers on stilts. 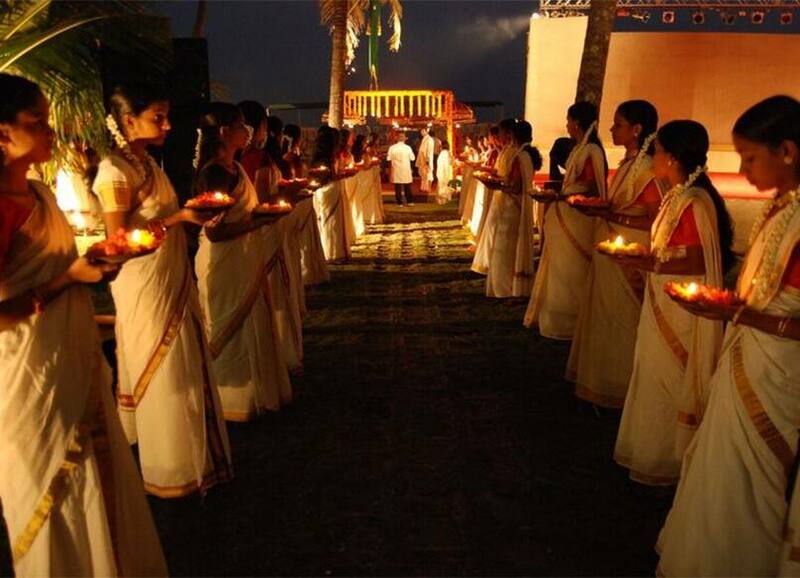 Beginning with a garland of fresh flowers, the evening gives way to a Thalam Welcome Ceremony. Next, take in a live performance of Carnatic classical music followed by a Bharatanatyam dance performance. A variety of local wines and spirits will be served. 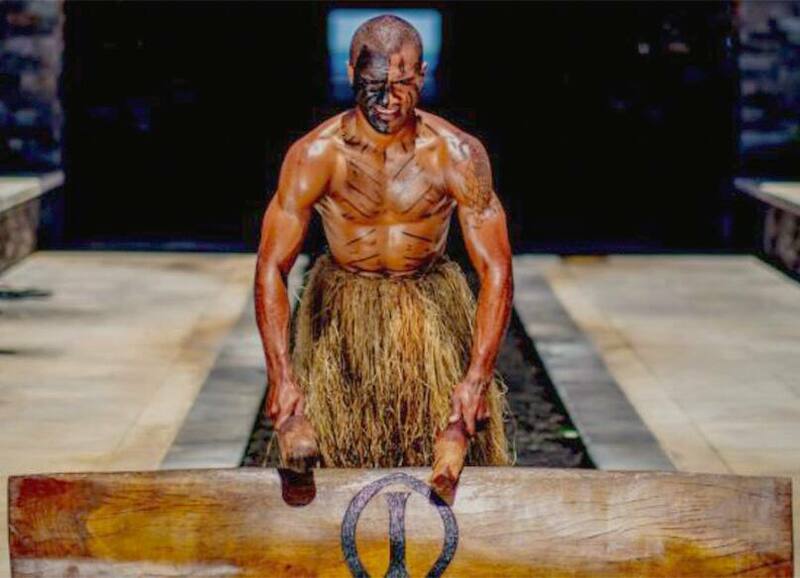 Guests will immerse themselves in a night of rhythmic drums, colorful displays and traditional dance beginning with Fijian lali drummers announcing their arrival. During dinner, warriors dressed in traditional costume dance as they bring the past to life through movement.